I found this recipe here. We really liked this. My husband some Frank's Red Hot sauce to his and loved it. 1 stalk celery, chopped - I didn't put this in. 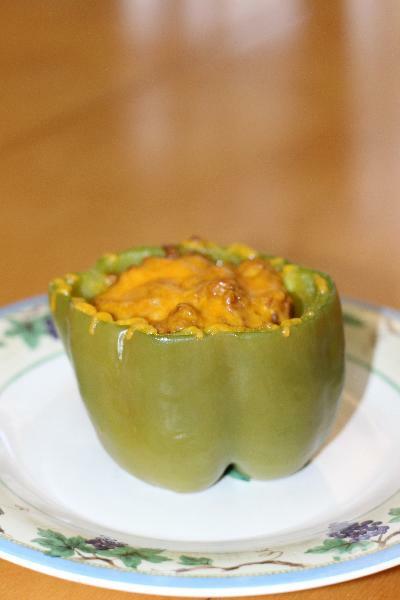 3 green peppers, halved lengthwise - I didn't cut them in half. I only cut the very tops off so I would have three very deep bowls. 1. Preheat the oven to 350 degrees. Brown the ground beef, onion, celery and garlic. Then drain the fat. 2. 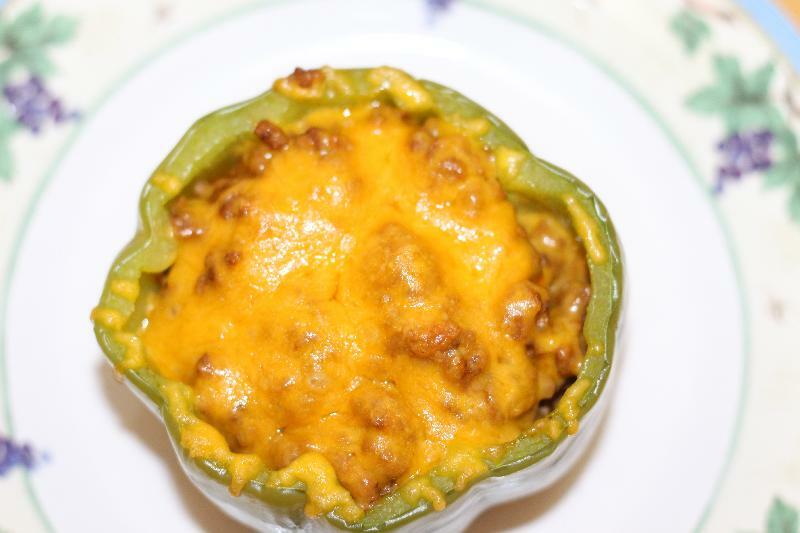 Stir in all of the remaining ingredients except the cheese and green peppers. 4. Meanwhile, parboil the peppers in a little boiling water for 3 minutes and then drain. 5. Place the peppers in a baking dish - I lined the dish with aluminum foil. 6. Stir in half of the cheese into the hamburger mixture. 7. Fill the peppers with the meat. 8. Top the peppers with the remaining cheese. Bake for 15-20 minutes until hot and bubbly and the peppers are tender.